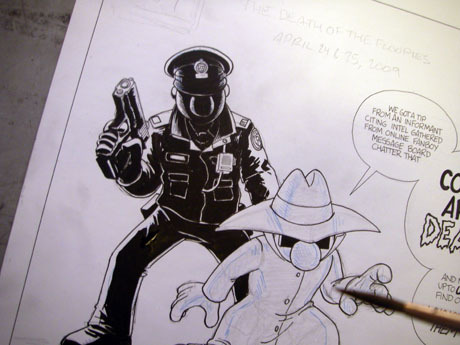 Here is the first panel for the 2 page SPACE 2010 Anthology that I am working on right now. I’ve always had a problem with going in with the blacks for contrast, but I’m very pleased with the way this one is coming along. Thought I’d share. Man, I’m liking those blacks.